The domestic Spanking Machine - your new Adult toy! What domestic implements are recommended? It´s very easy to attach rules, spoons, paddles, small leather or plastic canes. For using belts we should cut a piece of 40-50 cm, and make a wooden or plastic rigid guide along the belt. This rigid guide is what will be inserted on the coupler. It´s possible to use commercial paddles-canes? Yes of course, but you have to notice that the weight should not exceed 120 grams(4,4 oz- 0,27 lb), if a heavy weight is used, the machine could loose effeciency. If the implement it´s too wide or thick for the coupler, you could use Duck tape to secure it. How strong the machine spanks? The first idea was to produce a very small, simple but powerful machine at a low price, and that´s the difference from the others machines on the market,( that sure are amazing machines). The new model released is a 30% more powerful, and sure can give a great spanking. Despite being small, the size of a can of tennis balls or a dust spray cleaner, you will be surprised of the strength of Spanker Machine at full power. Anyway, you have to understand that obviously it cannot move too heavy materials. The recommended maximum weight is about 100 grams. 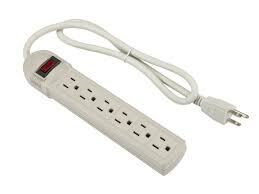 The most recommended way to use the machine is to plug the transformer into a power strip with power switch button.Thus leaving the ON / OFF of the machine on and once you have selected the minutes of operation, only need to press the switch from the power strip to turn on/off the machine, taking the strip button on your hand and using it as a remote control. You could also control the machine via internet for on line games with a WeMo switch. You can pay by Paypal or Credit Card (procesed by Paypal). Paypal is one of the most secure ways of payment on the net. Also you get sure you are buying in a safe site, and that your purchase order will be delivered to you as soon as possible. Will my order ship in discreet packaging? Sure, the machine is shipped as a mixer – Blender. The gift box gives no further reference. If you don´t want to, nobody will know that you bought the "Spanker Machine". Do yo ship to my country?, the web says there is no shipping rate for my zone? Please send a message through the contact page, and we´ll try to answer you as soon as posible. Do yo ship to a P.O box? We use to work with DHL Transport company. If you have any question about ir, please send a message through the contact page, and we´ll try to answer you as soon as posible. The implement does not fit into the coupler. The machine has a coupler for inserting and attaching the instrument to use. It may happen that we want to use something that does not fit because it is too wide or thick. The solution is quite easy, in these cases we can fix the implement to the coupler with some Duck tape. If stopping the device, the coupler-beater is not in start position proceed to restart it by pressing the power selector control knob downwards and turning it toward the minimum position. The Clamp system slips-turns when using Max power. How do I get different variation angles with the extensor arm? It´s easy to vary the angle of impact by the extender arm octagonal holes. Spanker Machine has a one year warranty. What precautions should I take using the machine? Spanker machine is much less dangerous as it has not sharp blades. Obviously, you should keep away your fingers and other body parts from the beater. Like all electrical appliances, improper use or lack of caution can always cause problems. Once the machine is fixed with the fastening system to a surface, we are ready to test it. We should start setting the control power near the minimum position and this way, experiment till we get experience with the machine operation. "I just received the package, the spanking machine is a good tool, will recommend to friends. Thank you for follow-up of this shipment". "The current video doesn't really give a clear demonstration of how effective of a caning that the machine can actually administer. I believe that a five minute caning on the most severe setting on my ample bottom and upper thighs would result in clearly red, inflamed welts that would be much more appealing to potential customers. I also suspect that my vocal pleading and crying would further demonstrate it's effectiveness. Thanks very much for your attention"
"We like your machine very much, and we are keen to use it again as soon as possible. We have even found a way to use it via Internet, with a remote control WeMo switch. This provides very great fun and more than a few laughs!" "To be honest at first I was skeptical of your claim of a small unit delivering a hard swat. After I set the machine up (which was very easy by the way), I ignored the recommend setting and set it to the highest level. Within a minute of use my eyes were wide open and I had black and blue welts. Your machine is everything you said and more. To my fellow enthusiast, I highly recommend this product. Its OK to use this Testimony for your customers."